Highlighting the vital role played by women in history is the goal of Her- Story. Women have always been driven by their dreams, which has resulted in amazing accomplishments. We draw inspiration and strength from those who came before us. They are part of our own story. Only through an inclusive and balanced “history” can we know and celebrate how important women have always been in our country, in society and in the world. 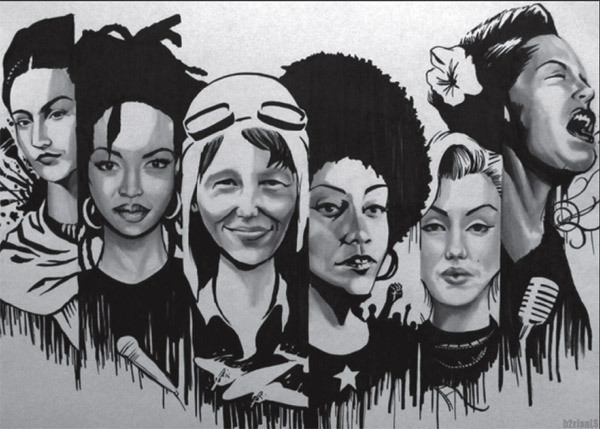 We celebrate Women’s History Month each year in March, which highlights the contributions of women to historical events as well as events in contemporary times. It is celebrated in the U.S. the U.K and Australia. In the U.S., Women’s History Month dates back to 1910-11 in remembrance of a strike of the International Ladies Garment Workers Union that took place in Chicago, known as the Hart, Scahffner and Marx strike. Women showed their capability to unify ethnic boundaries in response to an industry infamous for low wages, long hours – sometimes 75 hours a week – and poor conditions. The strike began with 16 women protesting; soon 2,100 others joined and eventually 41,000 women walked off the job and stayed out for 14 weeks until some of their demands for better conditions were met. Later, it commemorated the Triangle Shirtwaist Fire of 1911 in Manhattan when 146 women perished. They were mostly young, some only teens who were immigrants and spoke little or no English, and were working 12 hours a day every day. They either died in the fire that broke out of the eighth floor of the wood frame building or died as a result of jumping out the windows to the sidewalks below. They couldn’t escape because the doors were locked to prevent them from stealing or taking unauthorized breaks. An unauthorized break often meant taking time out to run down eight flights of stairs to use the outhouse located in the back yard of the factory. Myrtilla Miner a Quaker educator who opened a Colored Girls School in Washington, D.C.
Narcissa Whitman, first white woman to cross the Continental Divide. Margaret “Midge” Kirk is a slightly eccentric artist, writer, bibliophile, feminist scholar and hobby historian who lives in the SW corner of Colorado. She can be reached at eurydice4@yahoo.com or visit her website www.herstory-online.com.